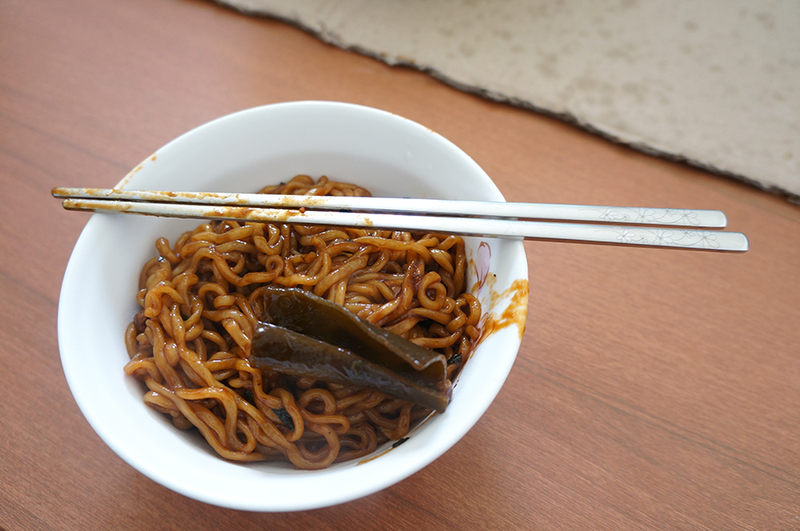 apparently, this is the trending noodle trend in Korea at the moment. i had it for supper probably a week ago and thought it was quite cool and yummy! ...and i went on taking pictures, to blog about it over the weekend. And so, as I was flipping a thru a korean fashion magazine today- they had this featured! hmm.. do have a try!! 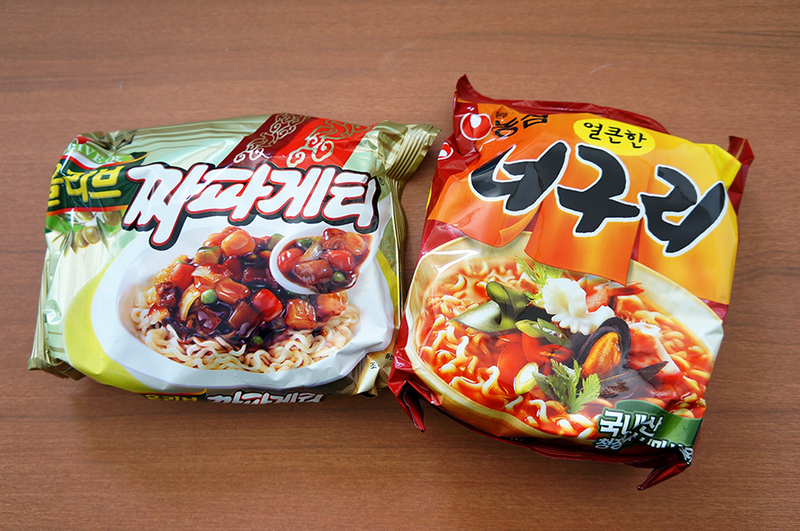 buy the same noodle brands ok? both brands are available in Malaysia. 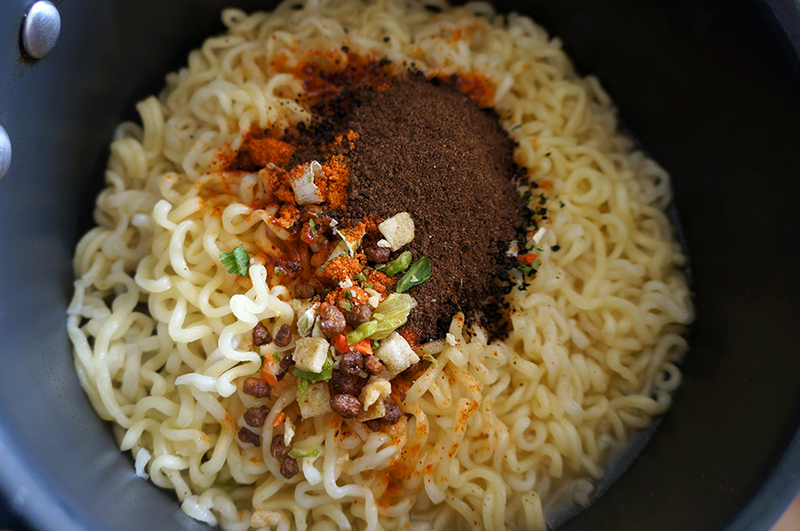 - boil the noodles as how you would > drain the water > leave the noodles in the pot whilst adding in the powder flavorings! 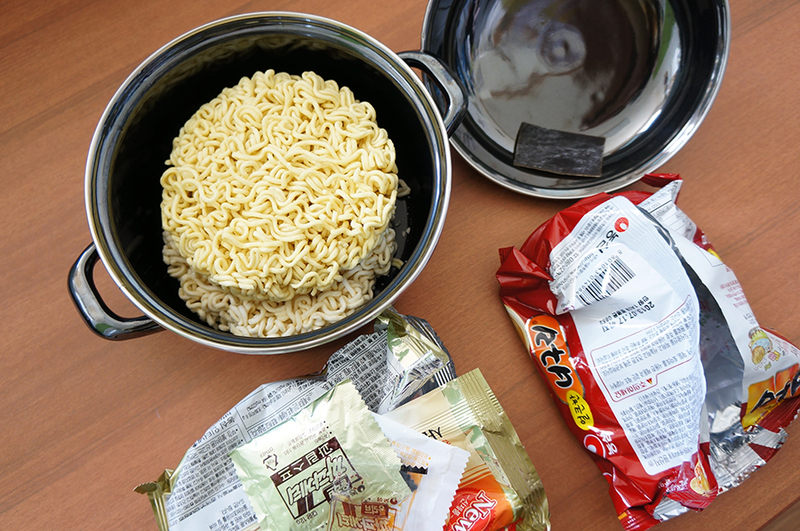 tip:add some water as you go along mixing it as the noodle tends to be sticky.